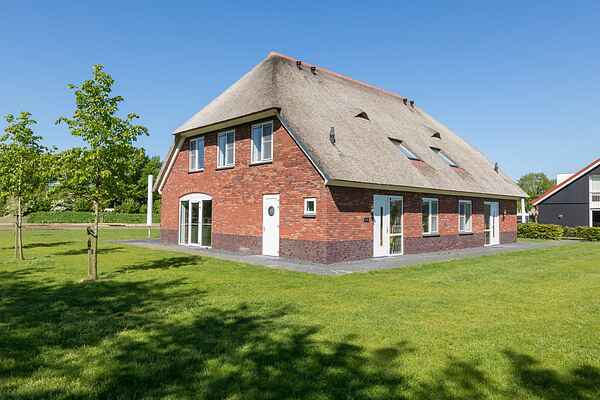 There are a total of 3 group accommodations at Résidence de Weerribben. These are versatile accommodations for a variety of uses. The two 16-person variants (NL-8378-09 and NL-8378-10) can be divided to create 8-person holiday houses (NL-8378-06 and NL-8378-07). The same applies to the 24-person accommodation (NL-8378-11), which can be divided into two 12-person variants (NL-8378-08). All accommodations were constructed in 2014 and meet all contemporary requirements, with free WiFi, a washing machine/dryer, dishwasher etc. Combined with the homey atmosphere, you are sure to enjoy a very pleasant stay. And of course every accommodation has a spacious garden and terrace with garden furniture.